My No Bake BUTTERFINGER ® Cheesecake is a perfect no-fuss, easy to make dessert this holiday that your family will LOVE! It is so creamy and delicious, and the chocolate crust really adds to the flavor! The fact that it is no bake makes it even better! 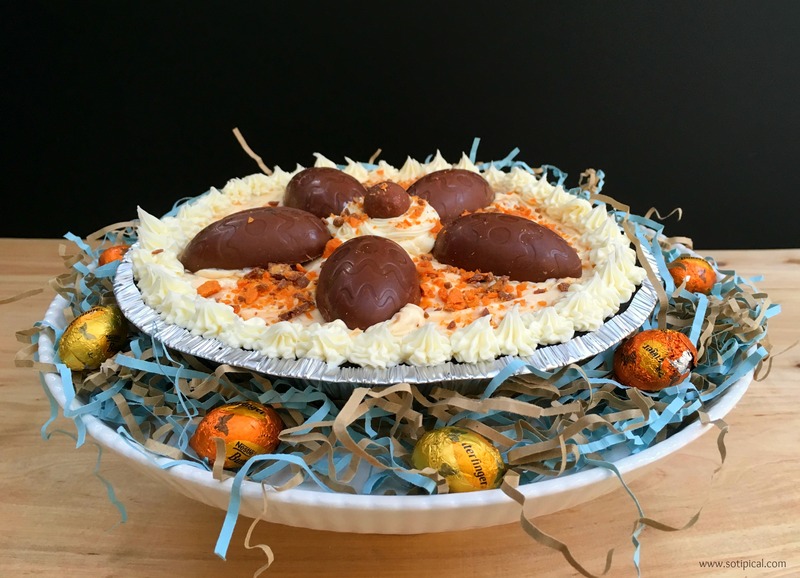 We made a “trial” No Bake BUTTERFINGER ® Cheesecake over the weekend because we are cheesecake fanatics to try it out before we served it to our Easter guests. 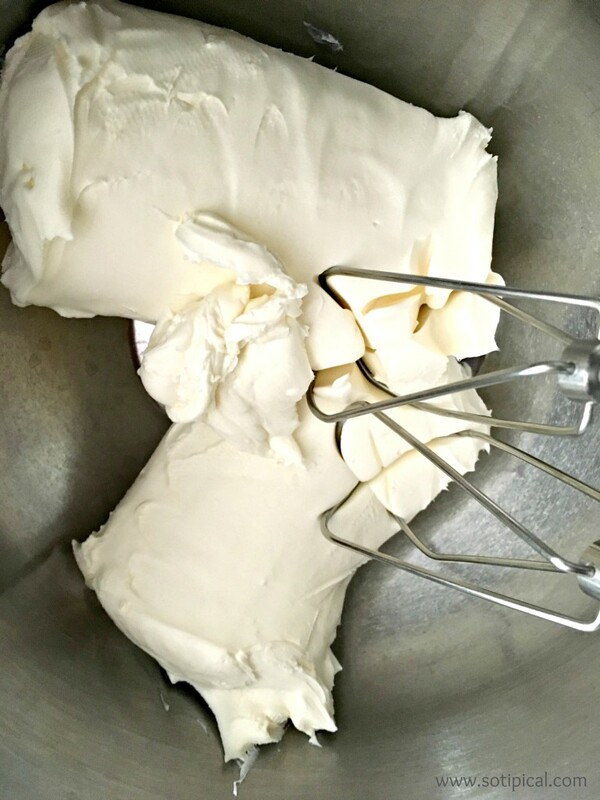 The first step it to soften your cream cheese for at least 30 minutes prior to assembly. 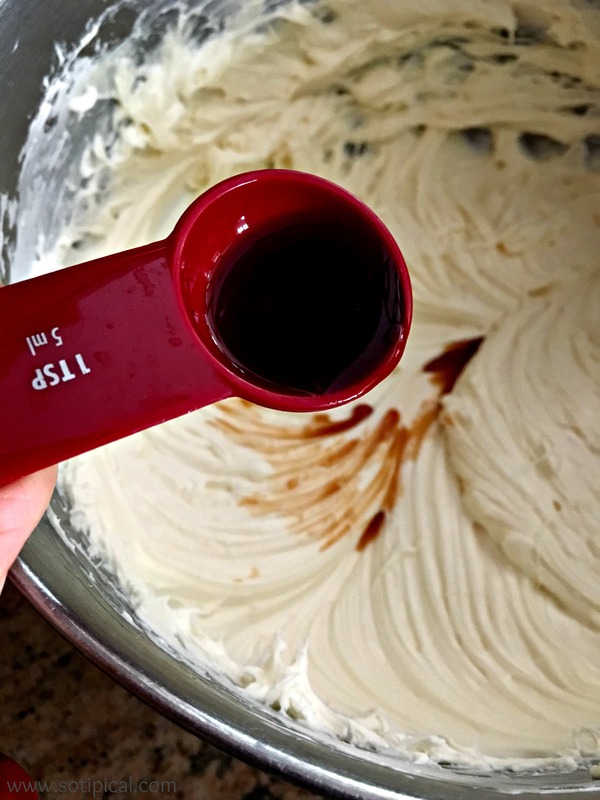 Once softened, whip the cream cheese with an electric mixer until smooth and creamy. 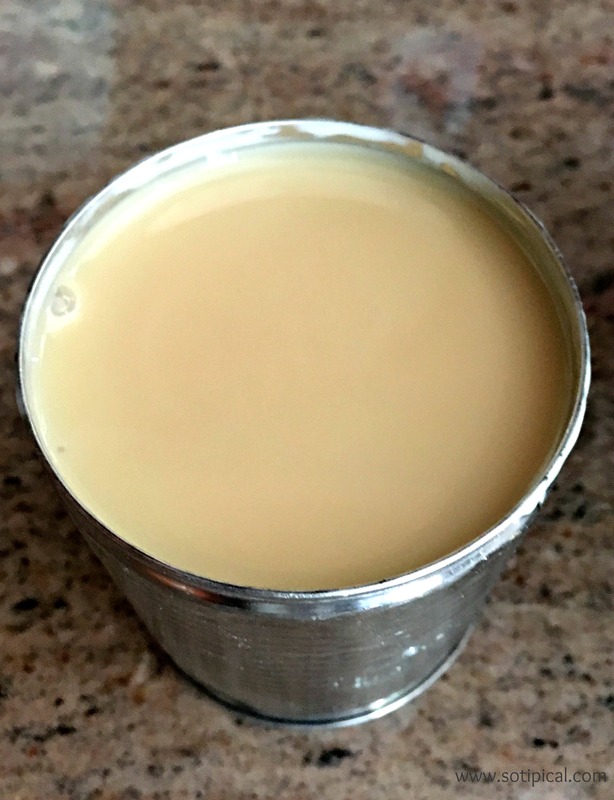 Next you will slowly drizzle in the sweetened condensed milk, then add the vanilla. Whip until it is well blended. 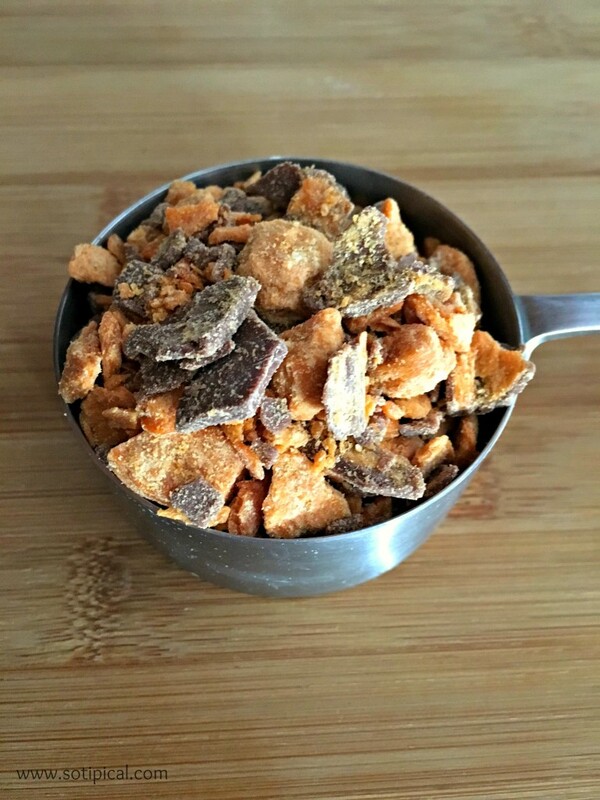 Now you will fold in your crushed BUTTERFINGER ® Minis. Once combined, you are ready to fill your crust. 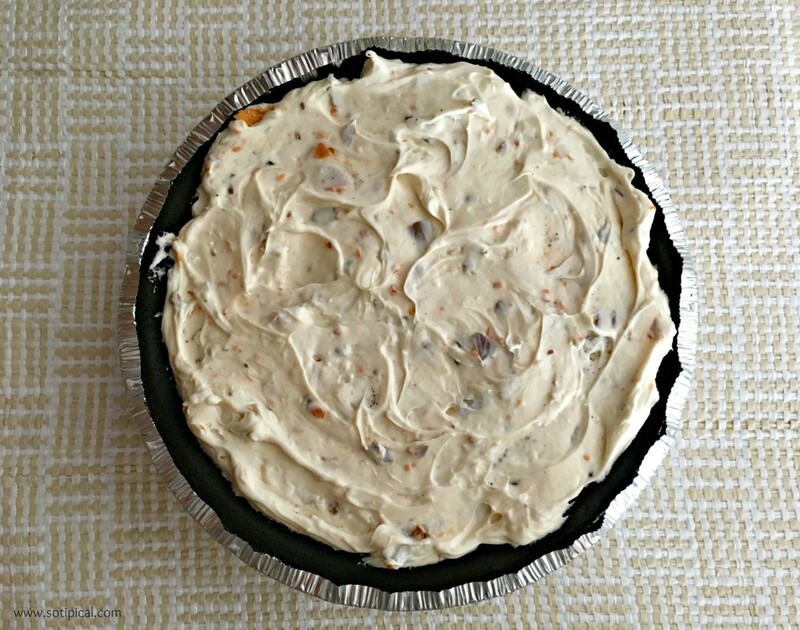 In order to save prep time, I decided to purchase a ready-made chocolate pie crust. You can certainly make your own, or even use a graham cracker crust. (Homemade crust is made with finely crushed cookies mixed with melted butter, then pressed into your pan.) I thought the chocolate would add a nice balance in the flavor and it did! 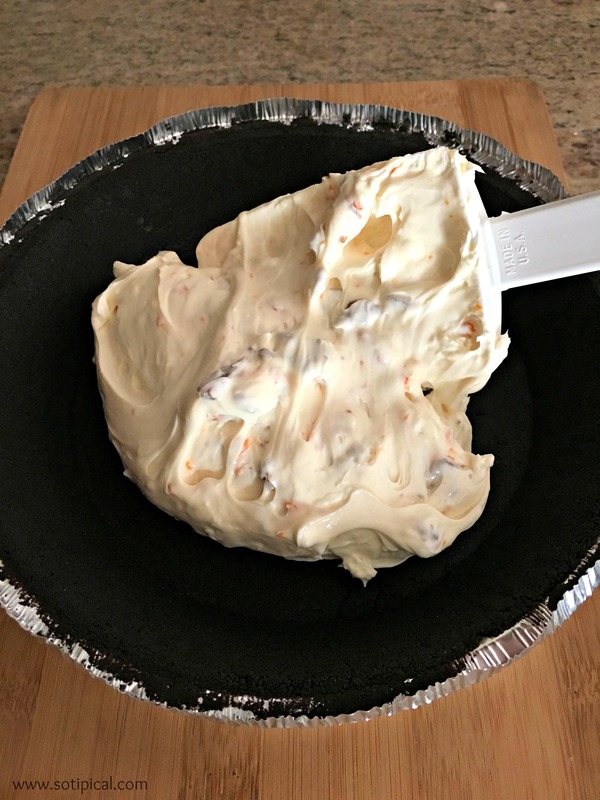 Carefully add the blended mixture to the crust. Be gentle when spreading the mixture on the bottom. This crust was a little fragile underneath. Lightly cover the cheesecake and chill for a minimum of 2-3 hours. This will allow the cream cheese mixture to firm up. Once fully chilled, arrange your BUTTERFINGER ® Cup Eggs 6pk in a starburst on top. I used 5 of them. 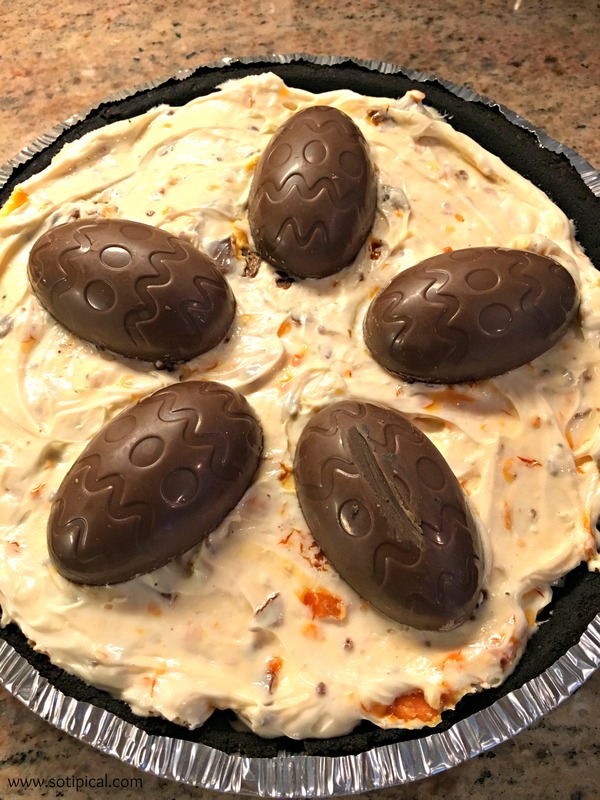 For additional garnish, I added crushed BUTTERFINGER ® Minis on top of the cheesecake and piped vanilla frosting around the edge and in the center. My original plan was to use whipped topping, but it has been pretty warm here lately and thought it might melt too quickly. Using the frosting in its places prevented that from happening. Doesn’t that look amazing??? 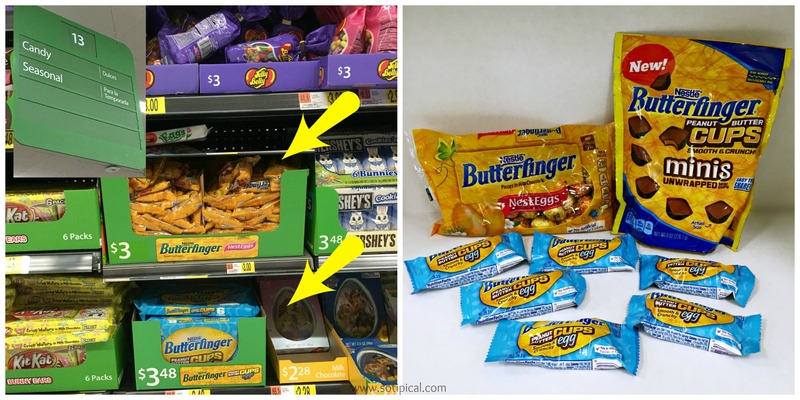 For more great BUTTERFINGER ® recipes, be sure to visit the FLAVORFUL MOMENTS PINTEREST BOARD and the Walmart NESTLE® page. Let me know your favorite way to enjoy BUTTERFINGER ® chocolates! 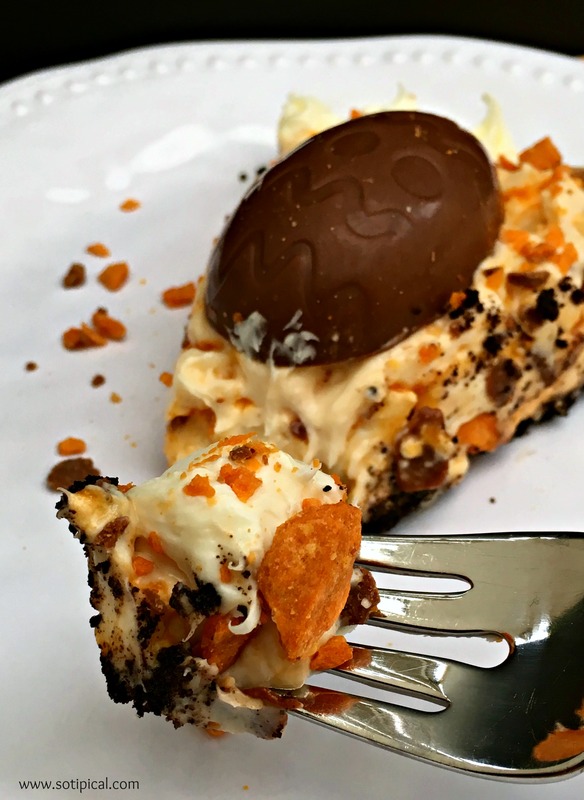 Look at all the peanut-buttery goodness inside these BUTTERFINGER ® Cup Eggs! Grab some today!